In 1807, Joseph Cerneau (1763-1840/45) created his own Supreme Council in New York City. He didn't have any official authority to do so and his system was deemed illegitimate by the Supreme Council in Charleston. 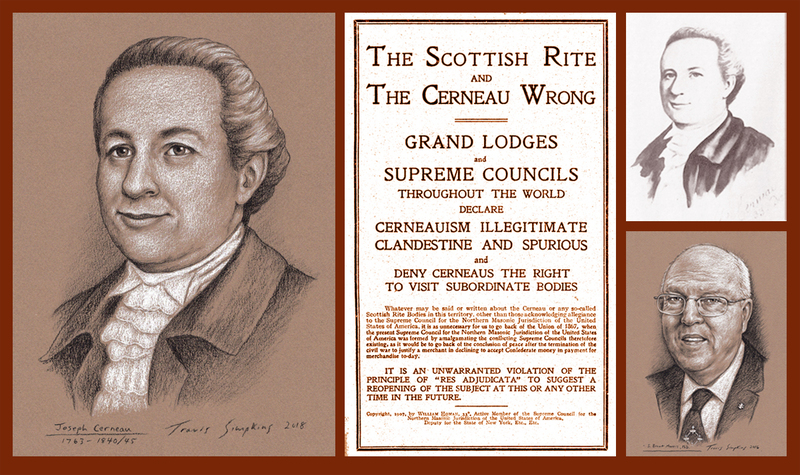 Nevertheless, his Cerneau Rite attracted many influential Masons of the time, including DeWitt Clinton, Grand Master of the Grand Lodge of New York. As a result, Cerneau's competing system of Scottish Rite degrees plagued both the Southern and Northern Jurisdictions for most of the 19th Century. It's a fascinating story of mergers, splits, contempt and treachery. Despite the long-lasting chaos that he caused, little is recorded about Joseph Cerneau's life and up until now there was only one known portrait of him. In 1938, a halftone image of Joseph Cerneau was published in Samuel H. Baynard's History of the Supreme Council, Scottish Rite Freemasonry, Northern Masonic Jurisdiction. The halftone image is a vague remnant of a photo taken of a miniature portrait of Cerneau painted on ivory. Both the original photo and the ivory miniature have been lost. In addition to HeredomVol. 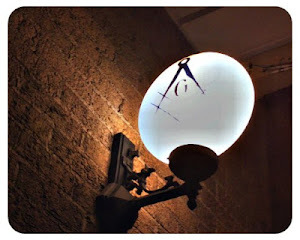 25, I'd suggest that readers interested in the subject of Cerneauism also seek out copies of Committed to the Flames by Arturo de Hoyos and S. Brent Morris (Lewis Masonic, 2008) and CollectaneaVolume 24 Parts 1 to 3 printed by the Grand College of Rites.